With over 110 members, weekly classes are held for children from 3 years upwards and adults, with bilingual tuition still a keystone of the vision. Ballet, Tap, Modern, Jazz, Disco, Street Dance, Hip-Hop, Latin American, Stretch, Kicks Jumps & Turns, Zumba, Cheerleading and National. 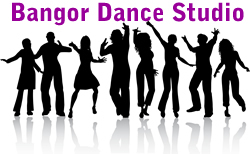 These classes are held in various venues including; Break 'n' Spin Dance Studio - Llandudno, Bodedern School - Llangefni, David Hughes School - Menai Bridge andl Holyhead High School - Holyhead. You can the find the full address for these venues on the timetable page.